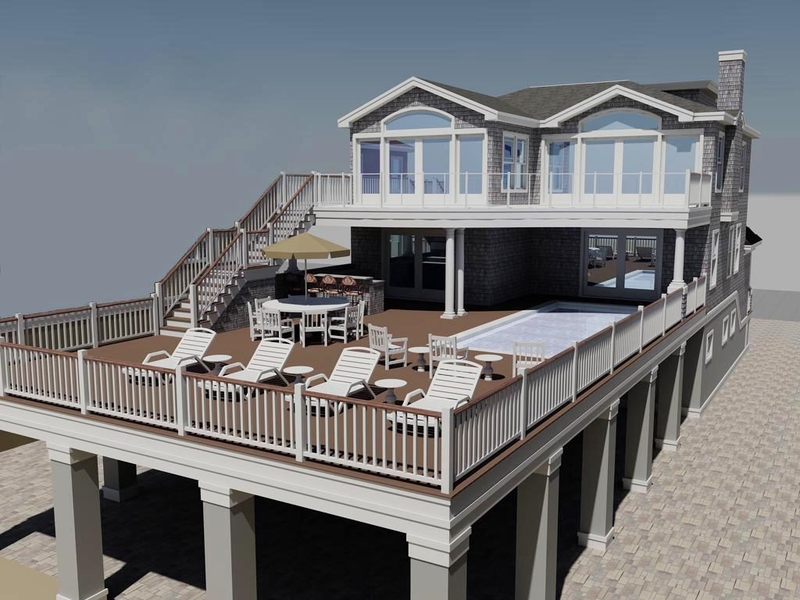 Imagine life in a new beach house with an immense oceanfront deck that includes an in-deck salt water pool and an outdoor kitchen. And that's just for starters! 3200 sq. ft. of luxury and another 800 sq. ft are possible at ground level. The top two floors contain five bedrooms and 4.5 baths, all done in impeccable taste but with a hint of the Sybaritic. The open living area is a real show-stopper.